Assessing and recommending for improvement the adequacy and operation of the risk management, internal controls and governance processes of the Letshego Bank Tanzania. Analyzing the reliability and integrity of operational and financial information, internal controls systems, safeguarding of assets, regulatory compliance, policy compliance and the efficiency and effectiveness of operations and programs. Participating in the formulation of the risk based Internal Audit Annual Plan. • Planning the audits by doing a through risk assessments to identify and measures risks inherent to the process/activity and identifies controls against each key risk identified. Assist in the preparation of a concise and informative audit report to effectively communicate the findings and recommendations. Conducts investigations of suspected internal fraud. Participate in the follow-up of the implementation of recommendations by regulators, internal and external audits. This role is NOT a residential role, and so applications are welcome from anywhere around the world. One of Caterpillar’s most reputable dealer groups is seeking technical engineering specialists to join their expanding team. Due to an outstanding reputation in the market, recent business wins for the supply and maintenance of Caterpillar Mining Equipment has created requirement for growth in their technical team. This role is viewed as being the “product expert” for very specific Caterpillar machinery, and this role has been actioned for the successful individual to assist the onsite engineering team with the repair and maintenance of the equipment as well as developing their technical skills and knowledge. Devex is posting this position on behalf of a member organization. The Operations Director is the finance and administrative operations leader for the organization’s office in Tanzania. 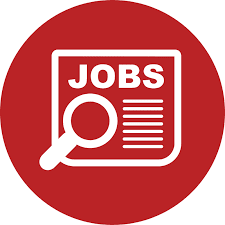 The Director of Operations’ primary responsibilities are to oversee all activities in Tanzania offices by supporting and managing accounting, finance, grants, human resources (HR), information technology (IT), procurement, and other logistics. Under the leadership of the Country Director, the Operations Director will ensure that systems and processes support effective and efficient program implementation. • Develop, update, and implement policies and procedures in accordance with applicable government and donor rules and regulations. • Oversee procurement processes, including competitive bidding and documentation for local goods and services. • Facilitate collaborative relationships with legal counsel, fiscal agent, payroll vendor, lessor, auditors, bankers, company secretaries, supplies, and relevant US and Tanzania government agencies. • Provide support and leadership to the management team in budget development, monitoring and analysis, as well as reporting. • Develop and manage budget monitoring and tracking systems that include financial and contractual data. • Ensure preparation of complete and accurate monthly and ad hoc financial reports and submission of financial information. • Oversee treasury management and maintain stewardship and fiduciary responsibility of financial resources ensuring sufficient cash resources are in country to meet project obligations. • Oversee the general accounting functions including accounts payables and payroll, banking, accounts receivables, audit planning, and submission of Tax and VAT returns ensuring compliance with US government and Tanzania regulations, and organization policies, practices, and regulations. • Supervise designated finance, accounting, HR, and IT staff.